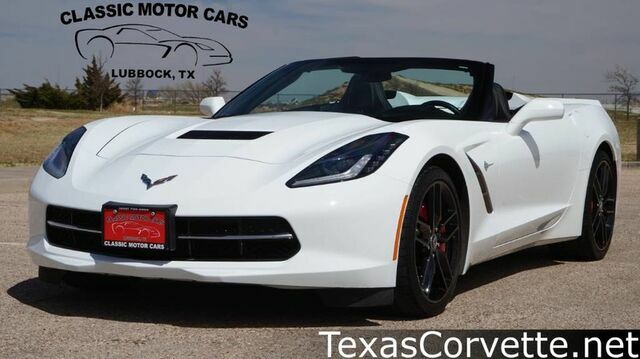 Looking for a clean, well-cared for 2014 Chevrolet Corvette Stingray? This is it. Your buying risks are reduced thanks to a CARFAX BuyBack Guarantee. You'll see the world in a whole new light when you slip behind the wheel of this impressive 2014 Chevrolet Corvette Stingray convertible. Put performance, safety, beauty, sophistication and all the right amenities into a car, and here it is! Now you can own luxury without the luxury price tag! The Corvette Stingray Z51 3LT is well maintained and has just 17,561mi. This low amount of miles makes this vehicle incomparable to the competition. Added comfort with contemporary style is the leather interior to heighten the quality and craftsmanship for the Chevrolet Corvette Stingray Where do you need to go today? Just punch it into the Chevrolet Corvette Stingray on-board navigation system and hit the road.